1.) You probably are not going to use your American phone/number while you are abroad. Let’s face it, unless you are studying abroad in Georgia (and I mean Georgia peaches not former Soviet Georgia), your American cell service will most likely be REALLY expensive to use abroad. Using AT&T’s or Verizon’s international roaming service or global plans could cost you $1-$3 PER MINUTE to send and receive calls, and around 50¢ per text message. While this may make sense if you are traveling to a foreign country for only a week or two on vacation, living and studying in a place for 4+ months could make that per minute charge add up really fast. 2.) If you decide to use your U.S. phone and service abroad, be prepared to be the least popular person to contact by your new local friends. While you may have chosen the option and are okay with the astronomical roaming charges abroad, your international friends will choose not to ever call or text you, strictly for the reason that they are going to be charged crazy high rates from their own local cell phone company. For example, it wouldn’t make very much sense for us to call a French number to get a hold of our new exchange student friend Pierre while here in the U.S.; the same mentality exists abroad. Getting a local number is a much better choice (both financially and socially) to stay in contact with your in-country peeps, both fellow study abroad-ers and locals alike. 3.) Prepaid = good to go! Now that you have decided to ditch your faithful American service for your host country’s equivalent, it’s off to the cell phone store to get your new abroad cell phone plan. Not so fast. Most monthly cell phone plans abroad have contracts similar to here in the US, so signing a 2-year contract on a phone that will only serve you for a couple of months also may not be the best option. 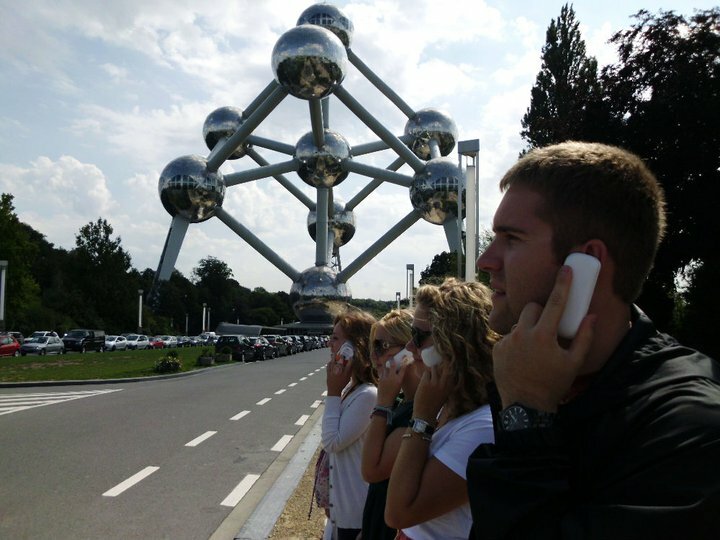 Prepaid cell phone services abroad are a lot more popular than their U.S. counterparts, and are a great option for students to communicate locally relatively cheaply. Instead of paying for a monthly service, you buy credit in the local currency denomination and your calls (which usually cost around 25¢/minute) will be deducted from that amount. When your cell phone balance gets low, you just have to purchase a card or voucher at the local super market to “top-up” with more money. And, best of all, all incoming calls to prepaid phones are FREE regardless of where they come from, so you aren’t charged which is awesome if you make your friends always call you! 4.) To buy a SIM card or not to buy a SIM card. That is the question. The next choice is if you wish to buy a new prepaid phone or keep your old phone and pop in a local prepaid SIM card. For the most part, both options have comparable calling and text messaging rates with either opting for the familiarity of your American phone OR having the added bonus of strutting your stuff with a cheap brick phone that people in the early 2000s were sporting. My prepaid phone was 20 euro and even came with 20 euro of calling credit already added to the account, so the phone was basically free! Either way you go SIM card wise, you will be saving money compared to using your U.S. cell service and people will be able to contact you with ease. 5.) You can still use your smartphone to communicate abroad, just not in the traditional sense you are used to. Remember that if you do have a smartphone, you can still use if for a variety of ways to stay in the loop. A lot of my friends abroad used the Wi-Fi feature on their phones to use mobile apps such as Skype, BlackBerry Messenger (BBM), and Facebook to stay in contact with people for free. Others downloaded texting apps that their friends back home could use to text for free (like TextFree, Text+, or Google Voice). Remember that you have to be within Wi-Fi range to do any of this so you will not be charged international data rates. After much of this information was given to us during our on-site orientation with our program director in Belgium, we all made a trip down to MediaMarkt and every single person on my program either bought a local SIM card and popped it into their phone or they bought “the BIC,” a prepaid white and orange brick phone made by the same company that makes pens and lighters. It didn’t have a volume control, and the T-9 brought me back to the time before full QWERTY keyboards, but it was actually really fun to downgrade from cell phones here. 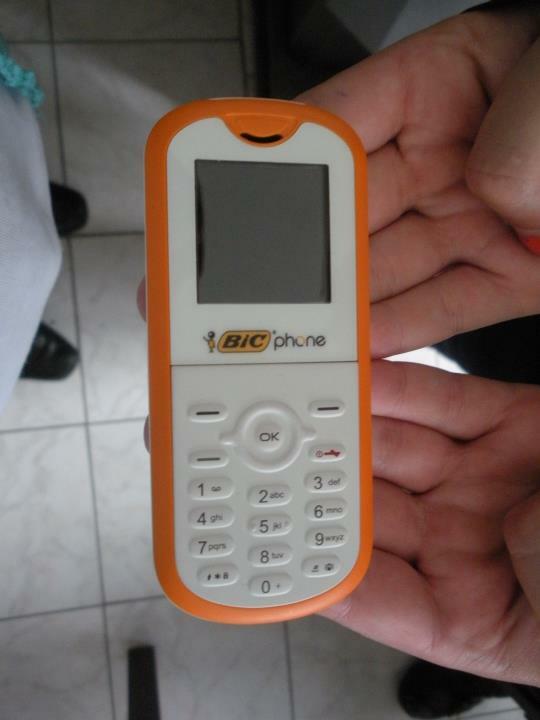 It was a running joke that we were going to bring back our BICs to the states and use them because of how hopelessly basic yet functional they were, and even began to use BIC to describe various actions that the phone could do (“shoot me a BIC when you are leaving and I’ll meet you at the train station”). So, in summary, get a local prepaid phone and embrace the brick (remember that you will only have to use it for a few months), and remember that you are there to meet new people and experience a new culture, not to be glued to your phone like we are here in the states. Happy BIC-ing! Next Thoughts and Feelings? Ugh.